See JHR website for tickets, directions, and specific dates. 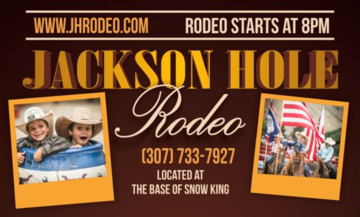 Jackson Hole Rodeo provides a high energy event where cowboys come and show off there skills roping and riding. No trip to Jackson hole would be complete without seeing the legendary Jackson Hole Rodeo.